Several Kalamazoo College students with local ties are helping prospective students and their families learn about the school, the campus and the city this summer through the Admission Center. Madelyn Betts ’19, Leah Todd ’20 and Faruq Schieber ’20—all of Kalamazoo—are among the campus tour guides, and they say summer is an excellent time to visit. 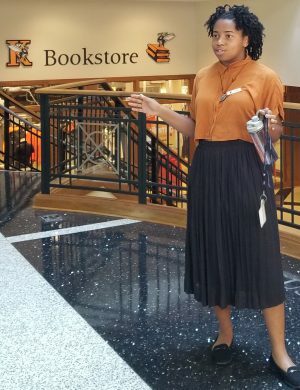 Leah Todd ’20 is one of several tour guides serving Kalamazoo College this summer. As members of the Holistic Inclusive Visitor Experience (HIVE) team, these three also fulfill roles as communicators and hosts to prospective students and their families. 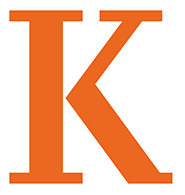 Each is an excellent source of information on the K-Plan, Kalamazoo College’s distinctive approach to academics in the liberal arts and sciences, and what you can see and do when you visit. Here are four of their tips for college visits. Betts, who studies German and business with a concentration in film and media studies, advises prospective students and families to develop a list of important questions to ask when they’re on campus. She said she commonly answers questions ranging from whether first-year students can have cars on campus to inquiries about academic support and leadership opportunities. 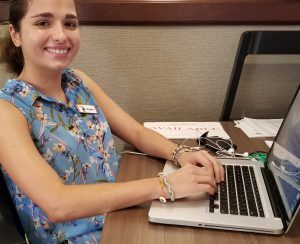 “Everyone is here to help you get everything you want out of your visit,” Betts said, adding it’s also a good idea to ask about activities on campus. Madelyn Betts ’19 is a member of the Holistic Inclusive Visitor Experience (HIVE) team. Her duties include serving as one of several tour guides on campus this summer. “There’s so much going on each term you don’t hear about ahead of time, you’ll think, ‘If I only had more time,’ ” said Betts, who is the president of K’s student Swing Dance Club and Film Club, and a member of Cirque du K, a student circus troupe. The practice of asking questions will also benefit students when they’re attending K. Todd, for example, said when she needed advice about a class, several people responded to a single email, including volleyball Head Coach Jeanne Hess, even though Todd no longer plays volleyball. Schieber said it can be intimidating for high school students to plan campus visits, especially if they’re uncertain about what college they want to attend. The solution for easing that intimidation is to connect with Admission in advance. 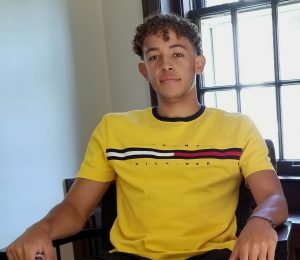 Faruq Schieber ’20 is among the Kalamazoo College tour guides who suggests visiting the College and the city over the summer. As a prospective student a few years ago, Schieber said that fit involved study abroad opportunities and the easy access to professors he wouldn’t have gotten at a larger school. “This is an environment where professors care about your success—you matter,” said Schieber, who will study abroad in Ecuador this fall. Regardless of the season in which you visit, it’s a good idea to prepare for the weather. Check the forecast for Kalamazoo in advance and dress appropriately for being outside, Todd said. Also, notify Admission if you’re running late for your tour. Calling ahead ensures tour guides are at your service when you arrive. Betts advises that students take pictures of the campuses they visit, especially when they visit schools far from home, to ensure they remember which is which. Our virtual tour, equipped with pictures and video, offers a preview of our campus, although we recommend seeing it yourself. Learn more about your options for visiting, plan your individual visit or contact Admissions today at 269-337-7166. This entry was posted in News Stories and tagged admission, business, international studies, student organizations, study abroad, visiting, . Bookmark the permalink.